Do You Want to Become a Quality Expert? 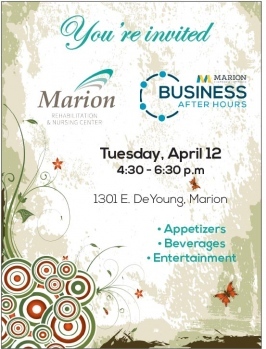 The Marion Chamber of Commerce Monthly Membership Luncheon will be held on Tuesday, April 12 at noon at Kokopelli. 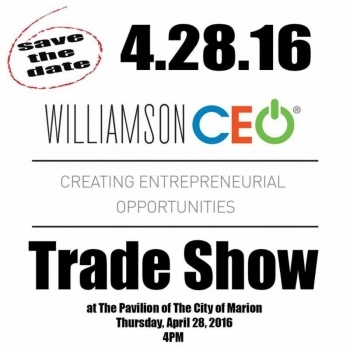 The presenter will be representatives from the Williamson CEO Program. D&C Heating & Cooling is sponsor of the April Monthly Membership Luncheon. D&C Heating & Cooling is a local, family owned business that has been serving Southern Illinois since 1962. With over 54 years of experience in the business, we are proud to be a leading Heating and Air Conditioning Company, as well as one of the largest WaterFurnace Geothermal dealers in Southern Illinois. The Marion Chamber of Commerce Foundation is sponsoring the 6th annual two-person Bass Tournament at Pyramid Acres Marina on Sunday, April 24. The event is a fundraiser for the Marion Chamber Foundation Scholarship Program. 30% of the entry fees will go toward the Marion Chamber Scholarship Program. The Marion Chamber of Commerce currently offers two scholarships: John A. Logan College One Year Tuition Waiver and a Grad Spree Scholarship. The Marion Chamber of Commerce Foundation awards these scholarships based on the amount of money generated by the fundraising efforts from the previous year. Sponsors of the tournament include: Williamson County Tourism Bureau, Hill Printing, Pyramid Acres Marina, U.S. Angler's Choice and the Marion Chamber of Commerce Foundation. If you would like to be a $100 sponsor of this year's tournament, slots are still available. Please contact Marion Chamber of Commerce Foundation President Ashley Gott by clicking here to become a sponsor. The Marion VA Medical Center was recently recognized as an official Partner of the Department of Defense Vietnam War Commemoration and will be hosting and participating in events to recognize Vietnam Veterans on Tuesday, March 29th. Would you or your business consider donating to our auction this year? Celebration at Brehm Preparatory School. 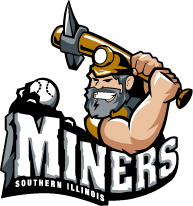 Advertising space in the Miners game day program (48 home games in the 2016 Season). The dimensions for the ad are: 2.25" wide x 3.75" tall. All ads need to be CMYK. Limited ad space available. Deadline 3/31! Advertising space in the game day program, a display table on the concourse during the game and 12 tickets. The dimensions for the ad are: 2.25" wide x 3.75" tall. All ads need to be CMYK. Limited ad space available. Deadline 3/31! Your business will receive advertising space in the Miners game day program (48 home games in the 2016 Season) and a space to display your business' goods/services at the Marion Community Day Tailgate Party. The Tailgate Party for the Marion Community Day will begin at 4:30 p.m. on the gravel lot of the Rent One Ballpark. The dimensions for the ad are: 2.25" wide x 3.75" tall. All ads need to be CMYK. Limited ad space available. Deadline 3/31! Your business will receive advertising space in the game day program, a display table on the concourse during the game, 12 box tickets and a space to display your business' goods/services during the Tailgate Party. The Tailgate Party for the Marion Community Day will begin at 4:30 p.m. on the gravel lot of the Rent One Ballpark. The dimensions for the ad are: 2.25" wide x 3.75" tall. All ads need to be CMYK. Limited ad space available. Deadline 3/31! For businesses and individuals, we have the following sponsorship levels available: Silver-$250, Gold-$500, and Platinum-$1000 or more. Of course, any amount is appreciated. We will honor our Gold & Platinum Sponsors by including their name and link to their Web site in Grad Spree promotional materials, on our website, newsletter and email blasts. 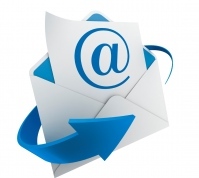 A donation statement for your taxes is available upon request. To make a donation, click here, call the Chamber at 997-6311 or e-mail the Chamber at director@marionillinois.com. Volunteers are also needed for Grad Spree. Last year, more than 30 people volunteered to chaperone this annual event. We are anticipating needing at least 30 chaperones again this year. Any time you can volunteer will help make this a memorable evening for the seniors and their guests. Grad Spree will be held from 10 p.m. until 5 a.m. on May 12. Chaperons are needed from 9 p.m. until 5:30 a.m. Individuals may sign up to supervise the graduates and their guests all night (9 p.m. report to The HUB, 10 p.m. - 2 a.m. at The HUB, 2-2:30 on bus to SI Bowl, 2:30-4:30 a.m. at SI Bowl, 4:30-5 a.m. on bus to The HUB, 5-5:30 a.m. at The HUB), during signup (9-11 p.m. at The HUB), at The HUB only (9 p.m. - 2:30 a.m) or at SI Bowl only (2 - 5 a.m. at SI Bowl). 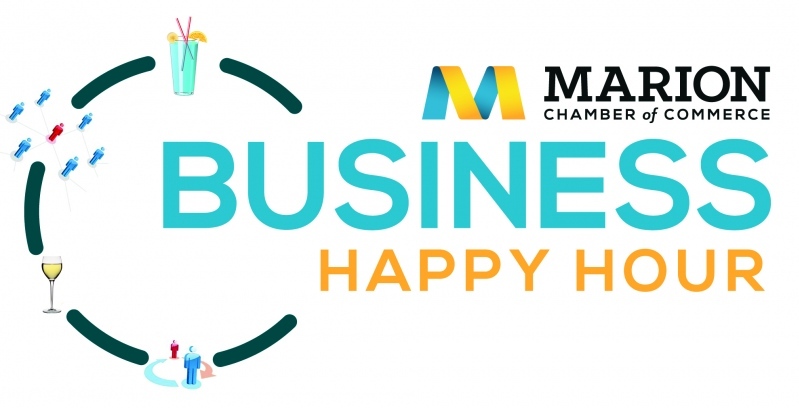 To sign up to volunteer, click here, download and fill out this form, call the Chamber at 997-6311 or e-mail the Chamber at director@marionillinois.com. 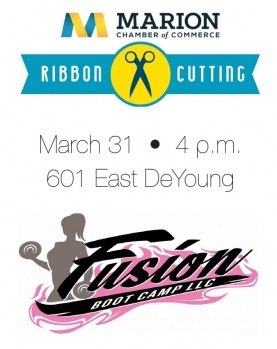 Ribbon Cutting and Business After Hours held on March 24 at Title Professionals. Ribbon Cutting held on March 21 at TJ's Wicked Vapes & More.